The capital and the largest city of the state of Colorado – Denver was founded on November 22, 1858 as a settlement of gold diggers. Megapolis (an area of 401.2 square kilometers), which the Americans themselves call “The Mile-High City” really lies about 1609 meters above sea level, between the eastern slopes of the Upper Range and the High Plains. 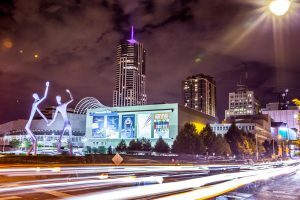 A major regional center of culture and trade and just a pretty colorful city, Denver is easily recognizable by its clear geometric grid of streets and the towering business center skyscrapers and the peaks of the nearby Rocky Mountains, which stand erect throughout the horizon. 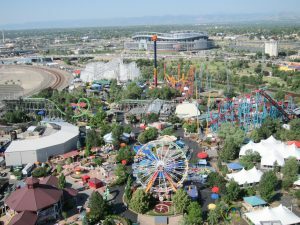 There are a lot of things to do in Denver, and each guest of the city can easily find something to his taste. Even the choosiest tourists will definitely enjoy staying in Denver during the weekend. Look at the most interesting things to do and choose the most outstanding from the list below. Let’s plunge into the beautiful attractions of Denver. Denver Museum of Nature & Science: The most attractive for visiting by the whole family is the Denver Museum of Nature & Science. Its natural-science exposition is very original, in the central pavilion of the museum it was possible to recreate the mock-up of the most real archaeological area. Here you can see the figures of huge dinosaurs as well as skeletons of prehistoric animals, and a unique collection of ancient fossils. In addition to collections dedicated to representatives of the animal world, the museum has collected interesting collections of minerals and other archaeological finds. One of the expositions of the museum is devoted to robotics, many of its exhibits are interactive and especially popular with children. 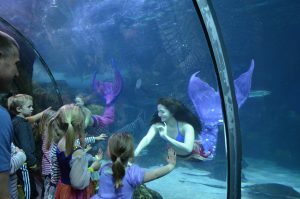 Children’s Museum: If you are traveling with kids, then be sure to visit one of the museums of Denver, which is designed specifically for children – Children’s Museum of Denver. It is more like a huge entertainment center, in which suitable entertainment is available for children of any age. There is a special play area for young visitors with different gymnastic shells and attractions, and there are halls for creativity where kids can learn to make interesting souvenirs or draw. Every day the museum conducts interesting cognitive activities and games, older children will like to put scientific experiments, and kids can play with soap bubbles and draw their first real picture. Denver Museum of Miniatures, Dolls and Toys: Another original museum that children will like – Denver Museum of Miniatures, Dolls and Toys. The basis of the collection of this museum is miniature toys and dolls, all exhibits are made by hand and incredibly interesting. In addition to miniature toys in the museum are mini-copies of famous attractions in Denver, as well as copies of some of its iconic areas. Children will more like doll houses with a huge number of miniature objects and attributes. Interesting: If you want all members of the family enjoy the weekend, then plan visiting all of the museum or at least one of them as it will be both enjoyable and useful. All animals are kept in separate enclosures, where the best conditions of stay are created, as close as possible to natural ones. Most animals are in the open air, but there are also warm rooms. One of them is the rainforest, in which the tropical climate is artificially created. Here the most amazing trees grow and beautiful flowers blossom. The Zoo hosts special days of free visit, which are very popular among families. As a rule, they are arranged in autumn and winter. Children like to walk around the zoo and watch the animals, but in addition there are special children’s playgrounds in the zoo where the child can have a lot of fun and have fun. Interesting: Also on the territory of the zoo there is a terrarium, which is home to a variety of snakes, insects and lizards, including chameleons. The zoo is open daily from 10:00 to 16:00.
hardware communications and much more. Also, there is a food court with several catering establishments for every taste. The shopping center is open daily. Goofts of national art have always been very popular. They are bought much more willingly than other consumer goods. The society is sharpened on purchases, even rash. Being on vacation or on a business trip you should definitely by some souvenir in Denver. Shopping here is much more difficult than it might seem. It is difficult to bargain here, and sellers are sometimes irreconcilable. Know the sense of proportion and be sure to compare prices, because the scatter in the same shops, but in different shopping centers is enormous. Another major shopping center Denver Pavilions is located along 500 16th St, CO 80202. There are numerous shops, some of which are engaged in promoting unique products. Tired of shopping. travelers can relax in catering establishments, as well as visit a local cinema. Shopping began to look like a kind of ritual, which fascinates with its preparation. Many women plan shopping in advance. Traveling to Denver is always fun and exciting. Be sure to check your financial opportunities before you go shopping. Interesting: If your budget is unlimited, then boldly go to fashion boutiques, where you can purchase unique models of clothes, which are created in a single copy. Denver club Beta is distinguished by its ecological position. Its lounge rooms are green and are made using sustainable ecological products that have been recycled and used to build the club. Its obligatory rule is the processing of used materials in the processing centers, which are located on the main points of traffic in the club. Such materials are plastic, glass, aluminum, paper and others. The motto of the night club is “We are green”, which fully confirms their position. All these amenities affect the quality of music and, therefore, visitors. The goal of Beta is the development of club culture, and it constantly moves in this direction. Interesting: The institution never stands still, it moves, seeks ways to expand and improve. Its creative ideas every time please regular visitors. as well as the office of the Governor of Colorado. 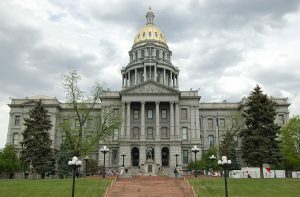 The Capitol building was built between 1886 and 1894, when Colorado white granite was used, and the dome was originally covered with copper plates, but several years later the copper began to oxidize and the dome was covered with gold plates in memory of the gold rush in Colorado. In 1949, 1980 and 1991 the dome was re-covered with gilding. Interesting: Most of the windows are in the form of stained-glass windows, which depict people and events related to the history of Colorado, and in one of the rooms is a gallery of portraits of all US presidents. The Denver Clock Tower is one of Denver’s symbols, located in the city center on 16th Street. The tower was built in 1910 and was called the Daniels and Fisher Tower, since it was part of the department store of Daniels and Fisher. The building was designed by the architect Frederick Sterner on the model of the bell tower of St. Mark’s Basilica in St. Mark’s Square in Venice. The 20-storey tower has a clock on all four sides. The height of the tower is 99 meters (325 feet). During construction, the tower was the tallest structure in the area between the Mississippi and California. In 1958, May Company bought a store from Daniels and Fisher and freed the tower. In 1971, the store was demolished, and the tower was preserved and restored. Since 1981, the upper floors of the tower are being rented for offices. 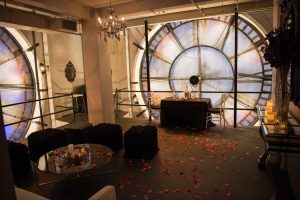 In the basement of the tower there is the cabaret Lannie. Interesting: The tower was added to the National Register of Historic Places of the United States at number 19. Do you like theater performances? 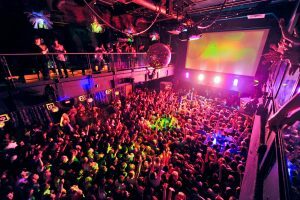 Then make sure you have time to visit the theater complex in Denver, which is one of the largest in the United States. It is a complex construction of reinforced concrete slabs and glass, consisting of four blocks with a total area of 50 thousand square meters. The capacity of the auditoriums of the complex is 10 thousand people. They are equipped with a modern electro-acoustic system that regulates the sound quality of choral and symphonic performance. as well as various entertainment events with the participation of American and foreign performers. Here, children’s shows are very popular, taking away young spectators in a world of fantasy and adventure. Interesting: The auditoriums of the theater complex are also used for conferences, seminars and business meetings. 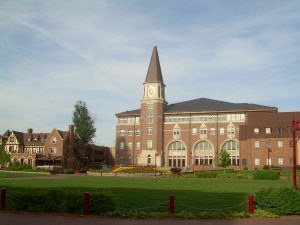 The University of Denver was founded in 1864 by the former governor of the state of Colorado, John Evans. It is one of the oldest private educational institutions in the United States. Its main building was built in 1890, it is located in a picturesque park with lawns, flower beds and fountains. The original facade of the building is a typical representative of the Renaissance Romanesque style. The university’s attraction is a small ancient church, built in 1870. After a recent restoration, it is open to visitors. Teaching in the university is conducted in 11 areas. There are more than 5000 students and 6000 post-graduates studying there. At their disposal – comfortable accommodation, entertainment centers, sports clubs, cafes and restaurants. Interesting: This high-tech educational institution has earned itself an excellent reputation. The high level of education and a beautiful city attract a large number of those who want to study at this educational institution. as well as other inhabitants of the sea depths. In the aquarium there is a large pool with skates, as well as many beautiful recreation areas where you can make spectacular photos. This place will be one of the best to visit with the whole family. You can learn more about the sea life and inhabitants and have a rest at the same time spending time with the use. Interesting: For visitors of the aquarium, there are many interesting excursions, however, you can walk along its territory on your own as well. This is by right one of the favorite places for those who like having an active rest. Everyone will find the activity, which he will like most. Children will be happy to visit the theme pak as well. Interesting: There are very interesting souvenir shops. In the park there are also cozy cafes, so you can relax here comfortably.